About S.B.I: The State Bank of India (SBI) is India’s largest Public Sector Bank owned by the Government of India (GOI). Other than India, SBI has branches all over the world. 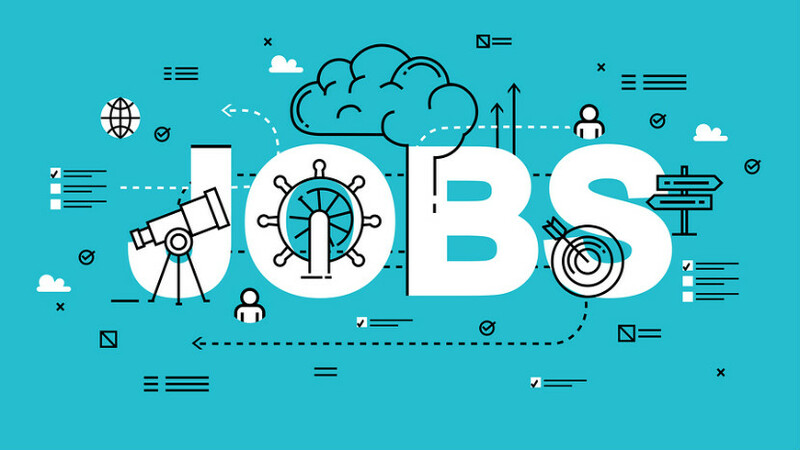 Online applications are invited by the State Bank of India (SBI) for recruitment to 8593 Posts of Clerk (Junior Associates – Customer Support & Sales) for the recruitment year 2019. Freshers are Eligible for this recruitment exam and Any Graduate Degree Holder i.e. B.A / B.Com / B.Sc / B.E. / B.Tech / M.Com / M.Sc / M.A or Equivalent Academic Degree Holders Can Apply for this exam. .
Salary / Pay Scale: Initial Monthly Salary in Clerical Cadre in SBI will be Rs. 25,000/-. Other than salary, selected candidates will also receive Other allowancy scuh as PF, NPS, Medical Allowance, LTC etc. Total Vacancy: As per the Official Notification of SBI, Total Vacancies in Clerical Cadre for the year 2019 are 8593. Educational Qualification: Any Graduate Degree Holder i.e. B.A / B.Com / B.Sc / B.E. / B.Tech / M.Com / M.Sc / M.A or Equivalent Academic Degree Holders Eligible. Final Year Students Are Also Eligible. If their degree will be completed by 31.08.2019. Relaxation in Maximum Age for Reserved Categories i.e. for SC / ST / OBC / PwD / Ex-Servicemen Candidates will be as per Government of India Rules. For Complete Details Regarding Age Relaxation, please check the official nitrification given below. Selection Process: Selection of candidates for Clerks Posts in SBI will be based on Online Exam & Local Language Test. Don’t Forget To Share This S.B.I Recruitment Notification 2019. Among All Your Friends & Colleagues. Make Them Check Their S.B.I Recruitment Notification 2019. Also Share This Info On Your Social Media Pages. About S.B.I:The State Bank of India (SBI) is the largest Commercial Bank in India owned and operated by the Government of India. The bank has its headquarters in Mumbai, Maharashtra and have branches in all over India. 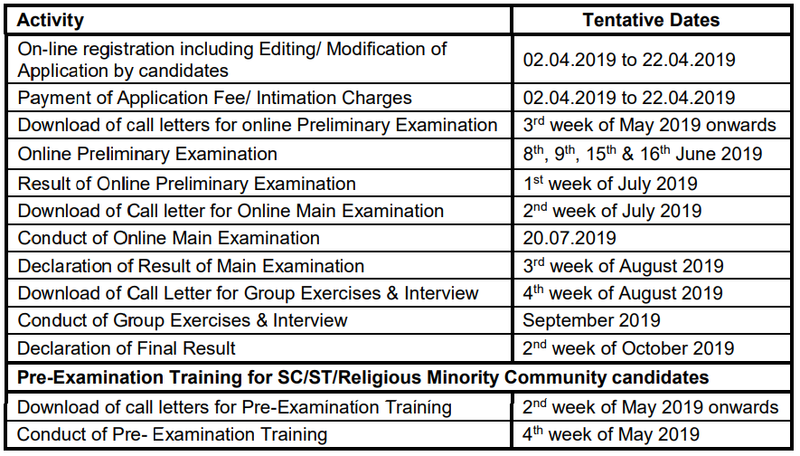 Online applications are invited by the SBI for recruitment to 2000 Probationary Officers (PO) Posts for the year 2019. Any Graduate Degree holder i.e. B.A. / B.Sc / B.Com / B.E / B.Tech / M.A / M.Sc / M.Com or any other equivalent degree holders can apply online for this recruitment exam. Educational Qualification: Graduation in any discipline. i.e. B.A. / B.Sc / B.Com / B.E / B.Tech / M.A / M.Sc / M.Com or any other equivalent degree holders can apply online. Those who are in the Final Year/ Semester of their Graduation may also apply provisionally subject to the condition that, if called for interview, they will have to produce proof of having passed the graduation examination on or before 31.08.2019. Salary / Pay Scale: Presently, the starting basic pay is 27,620/- (with 4 advance increments) in the scale of 23700 – 980/7 – 30560 – 1145/2 – 32850 – 1310/7 – 42020 applicable to Junior Management Grade Scale-I. The official will also be eligible for D.A, H.R.A/ Lease rental, C.C.A, Medical and other allowances & perquisites as per rules in force from time to time. Experience (If Any): Not Required i.e. Freshers Are Eligible. Phase-III: Group Exercises (20 marks) & Interview (30 marks).